What does it look like to enter into someone’s reality? To walk with them, to encourage and be encouraged, learn together, and attempt to gain a deeper understanding of God and his people. 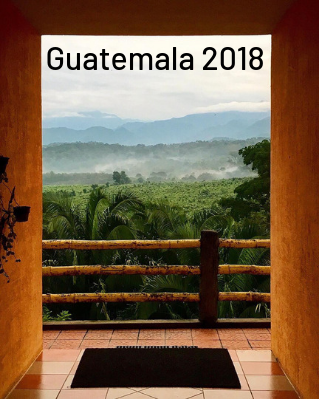 Our partners in Guatemala have opened the door for us to enter into the reality and context of their lives and the people in their communities. While only a taste, I can say that each of the nine members on our team has learned and experienced new things that have enabled us to look beyond ourselves. We worked with two families who our partners Eliu and Edgar are in a relationship on a constant basis. At one home we learned what it looks like for three generations to live together, one of whom is an adult son with epilepsy. We learned what it looks like for a family of 11 to live in a one-room home and have to walk down a muddy hill to retrieve water multiple times a day. The beauty in our time with both of these families was that we were working alongside them, learning from them as they were the experts in what we were doing. They allowed us into their home and into the growth of their future as a family. This wouldn’t haven’t been able to happen without the relationships that Eliu and Edgar have formed and have poured their hearts into. We are constantly reminded of the power of relationship, the power of proximity, and the power of allowing others into your story.